Chiropractic care focuses on restoring and maintaining the health of your spine, joints, muscles and nervous system through the use of manipulation (manual treatment of the affected area) and mobilization (increasing healthy movement) of joints and soft tissue. c) stimulate higher function of your nervous system. d) a renewed sense of vitality and overall well being. To enter chiropractic college, one must have a minimum of three years of university education. This is followed by four years of study at an accredited chiropractic college. The training includes numerous courses on anatomy, neurology, neuroanatomy, adjusting technique, microbiology, nutrition, pediatrics, pathology, and the philosophy of Chiropractic. Training also includes a clinic internship with supervised hands-on patient diagnosis and treatment. Upon completion of class work and internship, it is necessary to pass Canadian Board Exams and Provincial Board Exams before a licence is granted. This rigorous study program finally results in designation as 'Doctor of Chiropractic' with regulation by the College of Chiropractors in respective provinces. Many Doctors of Chiropractic then go on to receive intensive training in a specialized area. The first visit usually lasts between 30-45 minutes. This time is divided into three equally important segments: a) taking a thorough verbal history, b) chiropractic exam, and c) report of findings and treatment options. 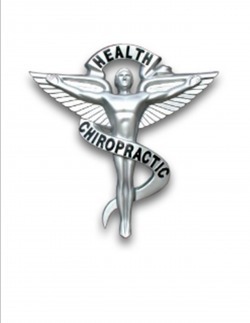 Is Chiropractic Care Covered by OHIP? Chiropractic services are not covered by OHIP. However, many extended health plans do cover chiropractic services. If you are unsure whether you have chiropractic coverage under your plan, our reception staff will be able to help you determine this information. This is one of many treatments which chiropractors provide. When a chiropractor identifies a spinal segment or other joint which is restricted in motion, he or she may decide to treat it by stretching the joint in a highly specific, safe manner so as to restore regular range of motion. In some cases, this may produce an audible sound (often described as a 'pop' or 'snap', similar to finger knuckles cracking) caused by gases released in the joint. Though startling for the uninitiated, this sound is entirely harmless and does not signify any damage to the joint. The majority of patients do not require x-rays to confirm a diagnosis. The need for x-rays would be assessed during the initial visit. Some patients may experience some discomfort during and/or after treatment, especially if it is their first experience. However, most patients not only do not experience any discomfort from the treatment, but have an immediate sense of relief. Every effort will be made to make your treatment as pleasant as possible. Do I need a Referral to Consult a Chiropractor? No. Neither a doctor's note nor verbal referral is required for chiropractic care. The recommended course of chiropractic care for each specific patient varies according to multiple factors. These may include the nature of your complaint, severity of injury, individual state of overall health, age, and relative chronicity of your concern. Most conditions treated at our office do not require ongoing treatment once corrected through the initial series. Some chronic conditions, however, may require ongoing care. Will the Chiropractor Show Me Exercises? Frequently, a part of chiropractic care will be guidelines regarding specific exercises, activities, and/or postural recommendations specific to each unique case. After the initial visit, most follow-up visits last approximately 10-15 minutes. Occasionally, patients may show specific symptoms which require an extended visit of about 20-25 minutes. Reported complications from chiropractic care are extremely rare. During the initial visit. you will be carefully tested to ensure that proposed treatments will not expose you to undue risk. Yes. Pregnancy often causes bio-mechanical discomfort, resulting in neck and back pain. Chiropractic has been proven a safe, drug-free option to alleviate these symptoms. Many women find chiropractic care coupled with massage therapy to be especially effective in addressing pregnancy-related discomfort.